The Fixman 32pc Multi Tool Set is made to get the job done. This multi-tool set features comfort handles and superior metal construction. Offers a variety of screwdrivers, pliers and precision drivers. 32 Piece Multi Tool Set The Fixman 32pc Multi Tool Set is made to get the job done. This multi-tool set features comfort handles and superior metal construction. 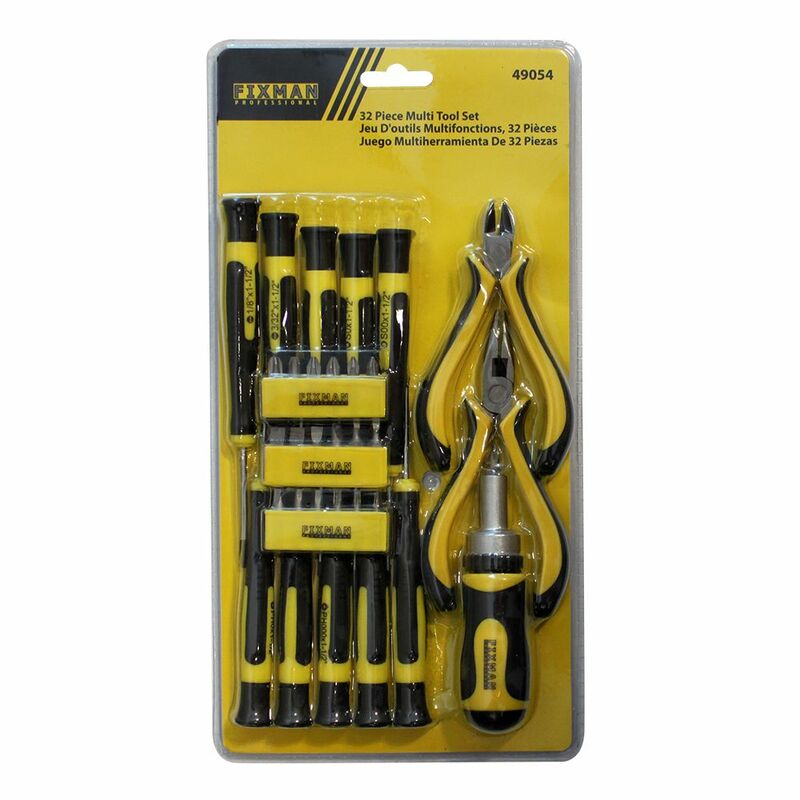 Offers a variety of screwdrivers, pliers and precision drivers.